The Gatwick Airport drone incident has caused us to see the need for counter-drone technology, but while most commentary is focusing on only short-term issues and solutions (“Just shoot it down”), what is not being recognized is the need for a complete end-to-end solution which would involve training law enforcement and prosecutors to arrest and prosecute these types of events to a successful conviction. Gatwick Airport, which is just south of London, has been shut down repeatedly by numerous sightings of drones flying over the airfield. This has caused a major disruption not only to the passengers at the airport, but also at other connecting airports. You might have thought, “Why can’t they just shoot it down?” or “Don’t we have some technology that can prevent this? There are different types of counter-drone technology out there. You can classify these technologies typically into two categories: (1) detectors and (2) defenders. Detectors do just that, detect drones using different methods (radar, radio waves, etc.). Defenders disrupt or destroy the unmanned aircraft using all sorts of creative technology (shotgun shells, jammers, GPS signal spoofers, lasers, and even trained eagles.) Each of the types of technology has a different price tag and effectiveness for different types of scenarios. Fundamental to understanding the counter-drone technology is a knowledge of law­­, for it is within the law that the technology is used. They cannot be separated. In the United States, there are anti-jamming laws and anti-GPS-spoofing laws. It is illegal to damage or destroy an aircraft or hack into a drone. If that was not enough, you potentially open yourself to extra lawsuit liability from plaintiff attorneys whose clients might have been hurt because of the illegal operation. Airport environments have numerous sources of potential radio interference which makes drones hard to detect. “The primary factor in determining the feasibility of installing a permanent system at an airport is the number of sensors needed to achieve the desired airspace coverage.” Different sensors have unique characteristics, requirements, and coverage distances. Due to the nature of airports being operated by many entities (TSA, FBOs, airport management, etc.) it might be hard to acquire and deploy. Due to the rapidly developing counter-drone technology, it becomes obsolete upon installation. Basically, it’s not an easy, or cheap, thing to try to stop a drone near an airport. But can anyone do anything to stop these drones? Yes, multiple federal laws have been passed within the last two years to give counter-drone use authority to Department of Homeland Security, Department of Justice, United States Coast Guard, Department of Energy, and Department of Defense. But even with these new laws, there will still be a need to determine safe and effective rules of engagement regarding these bad drones. DHS and DOJ will be working on this quickly in light of recent event. So let’s say you have the technology and track down the bad guy, now what? The next two logical steps are arrest and prosecute. But these two steps raise all sorts of issues that even lawyers have a hard time wrestling with. I’ve talked to law enforcement officers who wondered “What in the world am I supposed to do if I catch the bad guy?” The situation is similar to a dog that barks and runs after a car; when it catches the car, it doesn’t really know what to do next. If you arrest under some state law that was created to stop the drone problem, you run into unlawful arrest and preemption problems. If you think federal law is being violated, are you as a state or local law enforcement officer within your jurisdiction to arrest them? Assuming you catch the bad guy and turn over the case to a prosecutor, does the state or federal prosecutor even know what to do with this bad guy? The FAA sends out letters of investigation but has historically prosecuted very few individuals or companies flying drones. The U.S. Government Accountability Office May 2018 report listed a total 49 legal enforcement actions from the FAA from June 7, 2007 to May 2, 2018. Department of Transportation’s Inspector General’s Office has done some investigations but overall prosecutions are rare. Here is what we need – a long-term vision of detecting, defending, and prosecuting the bad drone actors all the way to a successful conviction. This end goal will help us make decisions going forward. For example, drones do have all sorts of data on them that can be used by law enforcement for tracking down the bad guy and prosecuting them. David Kovar has a presentation on drone data forensics and the National Institute of Standards and Technology even created a database of forensic images of many popular drones to help law enforcement. We would shy away from destructive defenders and try to capture the drone intact so we can try and extract any forensic data from it to lead to an arrest and prosecution. This end goal of trying to obtain successful convictions would also mean we need appropriate training for law enforcement officers and prosecutors regarding potential problems and solutions that can arise during arrest and prosecution. In the end, we want only the bad guy to be uncertain and indecisive – not law enforcement. The Wall Street Journal reported recently that Uber put up a job posting for an executive position at UberExpress, the drone delivery operation within the UberEats food delivery unit, to help get the drones up and running sometime in 2019, with commercial drone delivery of food planned in multiple locations by 2021. This isn’t the first as other companies have announced their interest or plans in offering drone delivery services of which Amazon is the most popular. (I previously wrote an in-depth article on Amazon’s legal problems.) To keep things in context, this was a job posting to try and hire someone for an executive position, not the layout of an integration plan for the Federal Aviation Administration (FAA). The need for an executive makes sense since Uber is currently a partner with the City of San Diego, which is one of 10 recent Department of Transportation’s Drone Integration Pilot Program winners. Furthermore, the FAA Reauthorization Act of 2018 told the FAA to update the existing regulations, originally designed for manned aircraft, to address under 55-pound drone delivery. Regardless of these two beneficial events, there are some major hurdles that UberExpress will face to establish a commercial food drone delivery business: the law and the economics. UberExpress is going to face issues with the federal government as well as the states that the commercial drone delivery services will be offered in. On top of that, some counties, cities, and towns have created laws that could affect the operations as well. For one given flight, you could have federal, state, county, and city laws applying to the flight, some which could even be contradicting each other! From a federal government standpoint, the Federal Aviation Administration (FAA) is going to be the biggest problem. (Other federal agencies will affect operations such as Department of Transportation, Federal Communications Commission, etc.) The FAA has two ways of currently allowing companies to get airborne legally: (1) Part 107 and (2) through the rest of the Federal Aviation Regulations while getting special regulatory approvals to operate under alternative restrictions. Yes, the FAA Reauthorization Act of 2018 is trying to make things easier, but the rulemaking process takes time (around 2.5 years from notice of proposed rulemaking to final rule taking effect). Both of these methods have problems. Part 107 limits the aircraft to the visual line of sight of the pilot flying the drone and you cannot fly over people unless you have a waiver to do so. Over people waiver approvals have around a 99% rejection rate from the FAA. Yikes. On top of that, it is regulatory prohibited to obtain a Part 107 waiver to fly beyond line of sight to make a delivery of other people’s property! The other method of operating is under all of the rest of the Federal Aviation Regulations, that were originally designed for manned aviation, which is problematic because you have to go through and identify all the problem regulations you cannot easily comply with and then ask for an exemption from the FAA to fly under alternative restrictions. This will be extremely legal and time-intensive. 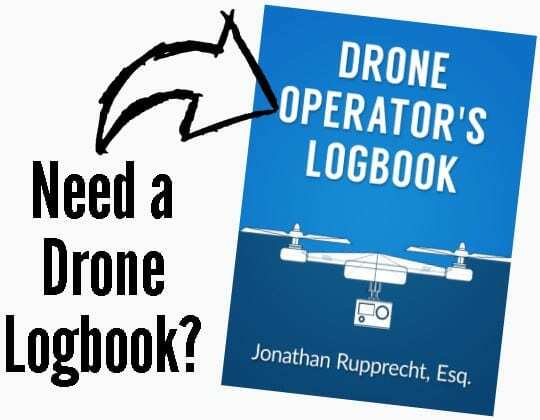 This method at least offers the ability to fly beyond-line-of-sight of the pilot, which allows one delivery drone to cover a greater area, as opposed to Part 107 which is just line-of-sight. The exemption method will still have issues with flying over people, avoiding other aircraft, etc. which will all have to be addressed during the exemption process. Here are two important points regarding using drones for delivery: 1) law and safety drive the economics of the aviation industry and 2) operational possibility does not equal operational profitability. The FAA is a safety organization. They are focused on just that. I remember being on the phone one time with an FAA employee in D.C. who emphatically told me, “The FAA is not interested in your business. We only care about safety.” Businesses will do a balancing test to see if the additional levels of safety are really worth the extra costs for the safety increase while the FAA it is mostly just doing a safety analysis. A recent National Academies of Science report which exposed many of the problems inside the FAA stated, “operation of UAS has many advantages and may improve the quality of life for people around the world. Avoiding risk entirely by setting the safety target too high creates imbalanced risk decisions and can degrade overall safety and quality of life.” The FAA has a very high target for safety……and does not care about your business. Setting aside the FAA’s heavy focus on safety, the regulations limit your operational capability which means potentially higher infrastructure/operational costs. Part 107 can only allow flights to be flown within line of sight. Even assuming you tried to initially get something going under Part 107, the line of sight issue (let’s just say you can see the aircraft 1 mile out) will limit the amount of surface area you can cover so you’ll need more aircraft….and pilots….and maintenance which means more overhead costs. Obtaining an exemption to fly beyond line of sight package delivery is the best option but will be time consuming and legal intensive initially which means those operations will not be happening anytime soon. On top of the regulations limiting operations, they also increase your cost of operations. You have to have certified pilots, aircraft, maintenance schedules, etc. that need to be all operated according to aviation standards or some sort of “flavor” of those standards. While there are many examples on the news showing the possibility of drone delivery, I think the early adopters of profitable delivery will be situations where there are delivery of items that are of a low payload weight and the cost of an alternative delivery method is unavailable or costly. A hamburger with fries will be a low payload weight but is the extra cost of drone delivery worth it to you when the next best alternative is UberEats or some other food delivery service? If cost is not a factor and availability is what you desire (little time to wait or you are in a hard to get to area), then this could be useful. But why stop with food? UberExpress has the opportunity to expand and provide fast delivery for other low weight items where availability is an issue, such as medicines or blood to patients with time-sensitive problems. UberExpress will be facing some regulatory challenges as they seek to integrate. As they navigate the constantly evolving area known as “drone law,” they will need to build out operations to benefit from large economies of scale to drive down the operational costs to where the cost of service will be comparable to other alternative methods of delivery already available that have been made efficient through years of experience. Do you think this can or cannot be done? Would you as a consumer be willing to pay more for your food or other items to be delivered by drones quickly?